Kuala Lumpur, May 2018. Revel in a whole month of exciting festivities as Avenue K kicks off its Raya celebration on 25th May. The 31-day campaign will offer discerning shoppers an array of stylish must-buys, great shopping deals, Raya activities, and spectacular performances until 24 th June. In line with the theme of ‘Luminous Reflections of Raya’, Avenue K will deck its Ground Floor Atrium with middle-eastern geometrical patterns with abstract structural designs inspired by Islamic art. Prepare to be mesmerised by the intricate and complex combinations of circles, squares, and triangles in repetitive motifs and beautiful symmetry. Large decorative Moroccan lanterns hang from the Atrium ceiling, instantly drawing your attention to their eye-catching shapes and exotic designs. In collaboration with Pasar Seloka, Avenue K will host a dazzling bazaar of stylish Raya delights featuring brands from the best independent homegrown designers, creators, and innovative entrepreneurs. Shop to your heart’s content from a selection of 22 booths offering everything you need under one roof from fashion to jewellery, accessories, children’s clothing, independent shoe labels, lifestyle products, cakes, cookies and homeware. 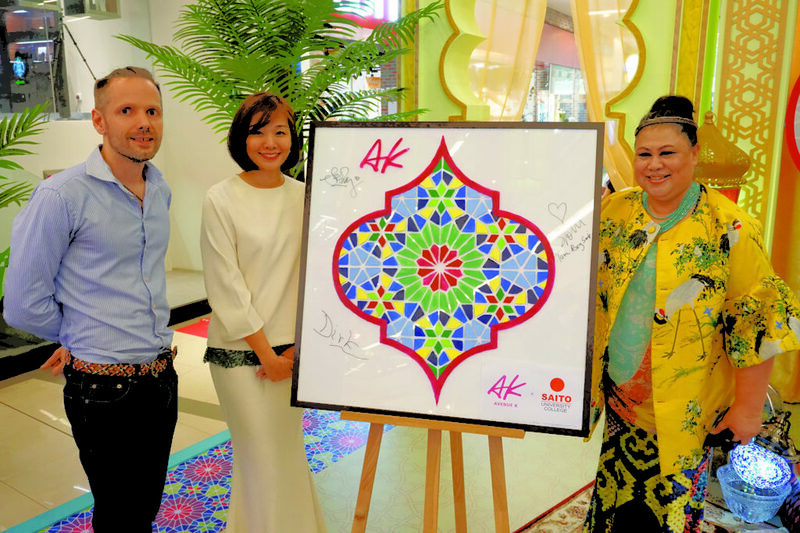 As part of Avenue K’s contribution to society, we’re giving back in the month of Ramadan through our long-term partnership with EMEL by Melinda Looi, which raises funds for charitable causes. The EMEL 2018 ‘socially conscious’ Raya collection will be made available at our Main Entrance indoor space. Stand a chance to take part in Avenue K’s ‘Raya Madness Rewards’ and walk away with exciting prizes worth RM30,000 including a Leica D-Lux 109 Camera, iPhone 8, Samsung S9 and more! All you need to do is spend RM500 and above (RM450 for AK Neighbours Card members) in a maximum of two combined receipts from 25th May to 23rd June. Receive a gift with purchase when you shop for your Raya goodies at Avenue K. Shoppers who spend RM350 and above (RM300 for AK Neighbours Card members) in a maximum of two combined receipts will receive a special edition glass jar. Grab yours while stocks last! ← (HIBURAN) GIRANG SYAWAL BERSAMA RANGKAIAN TELEVISYEN MEDIA PRIMA!